Anyone can build a Otter frame if they have the intrest. Etienne Willems Belgium "Otter" build. 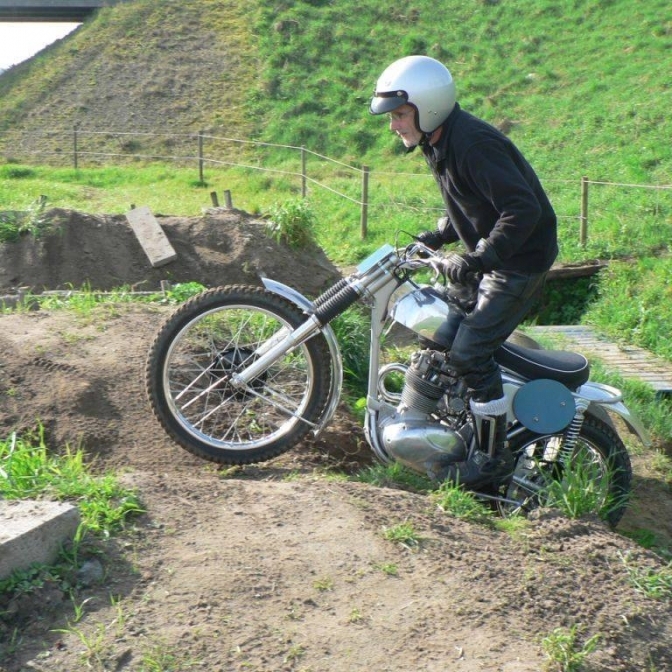 Etienne riding his latest BSA. 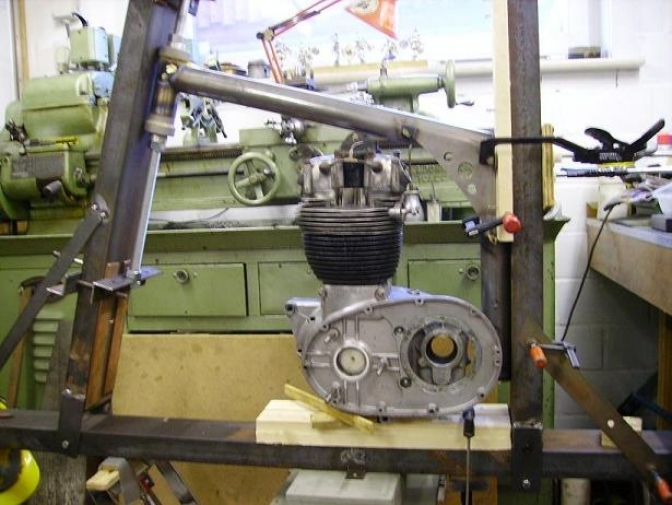 Etienne has sent me the story of the build of his “Otter” bike, and very interesting it is too. This just proves a point that the “Otter” type frame is simple in construction and a superb lightweight bike that really handles well when it is finished. And also that any mix of components tend to work well with this layout. Keep it simple ahy. Here is letter and pictures, and good luck with the bike Etienne and let us know how you get on with the bike wont you. Thanks to you and your site, I had the opportunity to make an "Otter/Faber “type frame, with a B40 GB engine. 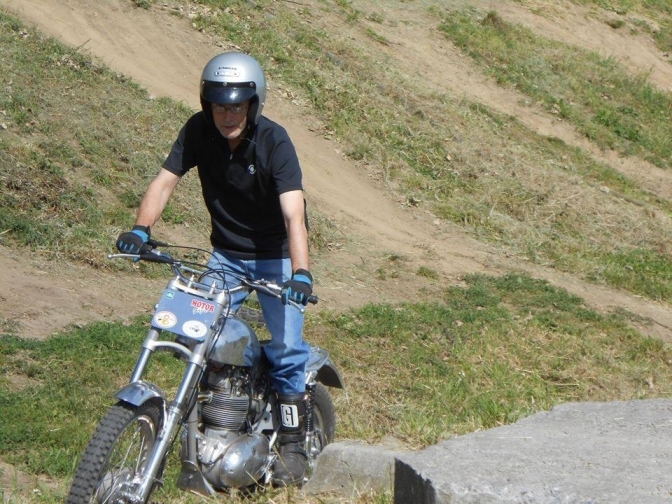 It is really a low cost bike; I used the front forks and wheels from my restored CZ 360 twin pipe from 1964. Damper and air filter are DIY parts. 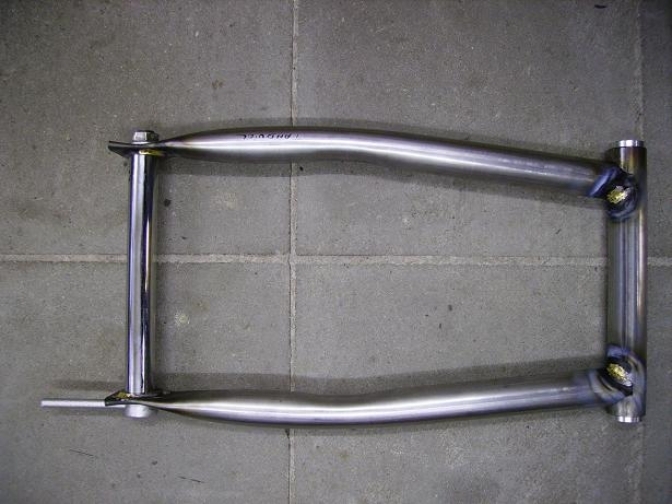 The frame is made from normal steel tubing and only a few tubes are 2 mm, all the other’s are 1.5mm thick. All tubes are welded with bronze. The bike is riding very well and is tested for many hours, no problems have occurred with the bike at this moment in time. 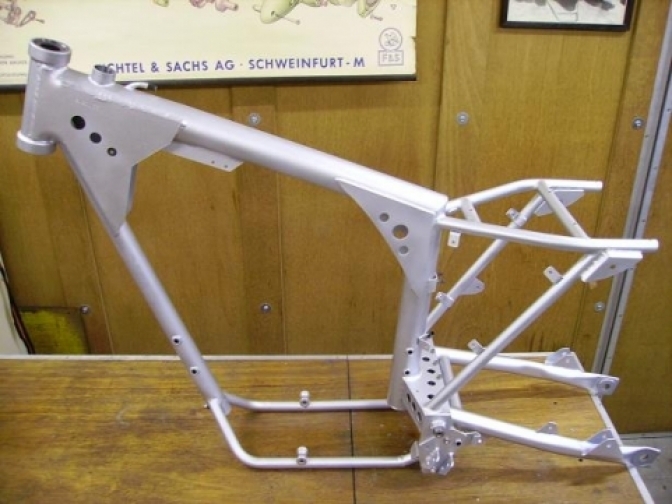 Here are some pictures during the frame-building, and of the finished bike. Best Regards, and again thanks for the help via your site. 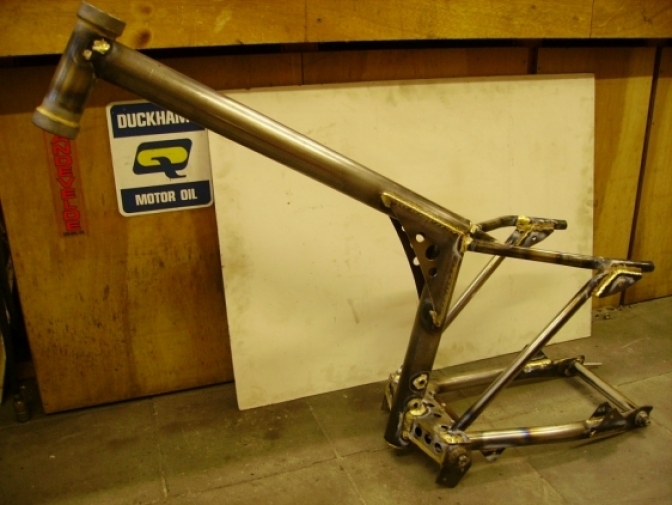 This is the frame jig that Etienne made up and used , well worth the time spent? Well once you have a jig there is no worry about building another frame is there. This is the swinging arm for the bike nice bends and swaged ends. I find using T45 or Reynolds tube you do have to use some heat to bend tubes of this width, and even down to 7/8"of an inch. The frame takes shape ,now out of the jig? probably to get the rear end finished before fitting the engine, and front down tube. ***All Photos Courtesy Etienne Willems. Looks good now the frame unit is finished. You may note there is only six tube bends in this frame, it could have been down to two, if the swinging arm legs were kept straight. and the engine under run tubes omitted. This page may inspire you to get on with your own "Otter" build. You know you want to. 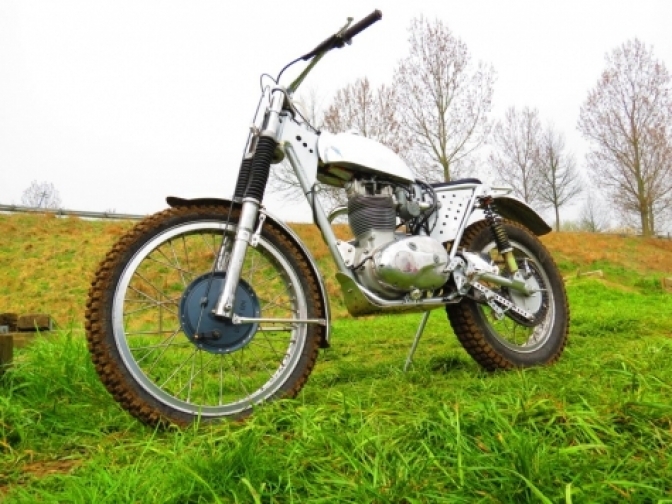 Etienne aboard the latest version of the "Otter" based BSA trials bike.